Have you ever wondered what it was like for the Native Americans in Georgia? It was rough for them when the Europeans got there. First, before the Europeans got to Georgia the Creek and Cherokee Native Americans lived there for a long time. Secondly, the special Native American Mary Musgrove was famous for her rebellion against the colonists demanding some lands back. Lastly, the slaves in Georgia had almost no breaks and were always working not slacking off. This is how the Native Americans lives were before the Europeans got to Georgia, and how their life's changed when they got there. First, before the Europeans got to Georgia it was inhabited by the Creek and Cherokee Native Americans. When the Europeans got there though things began to change. 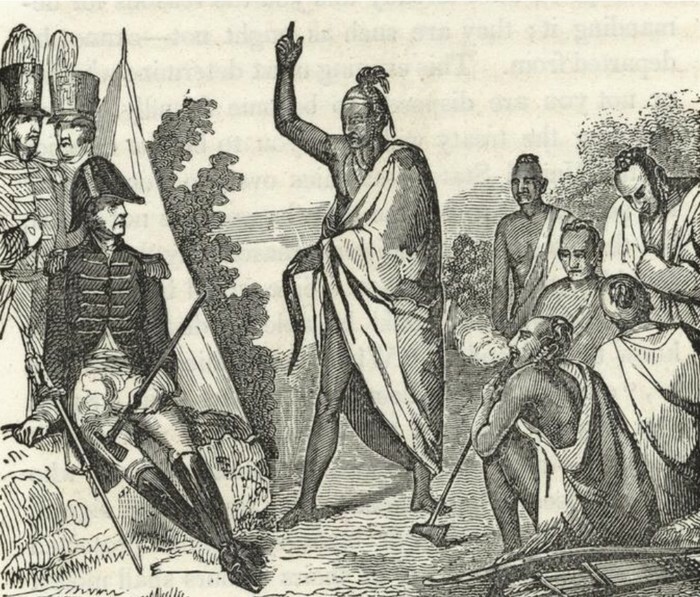 A Native American Chief named Tomochichi welcomed the Europeans to their land. The leader of the Europeans, a man named Oglethrope, wasn't so nice. He built his settlement right in the middle of the Native American's land. The Native Americans remained friendly until 1751. A woman Native American named Mary Musgrove and lots of other Native Americans marched to the colonies and demanded certain lands back. Finally, after a while, a man named William Stephans stopped the Native Americans riot. That is what the Native Americans were like in Georgia. Secondly, Mary Musgrove is famous for her rebellion against the Europeans with other Native Americans demanding certain lands back. Mary Musgrove was a trades woman in Georgia. Her parents were a Creek Native American woman and a English trader. 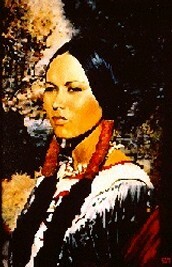 Mary's Native American name was Coosaponakeesa (you can see why they called her Mary). Later, Mary married a man named John Musgrove and moved to the Savanah River and built a shop there. Then some Europeans came and built their settlement right next to Mary and John's store! Mary's husband John died in 1735. Then she married a man named Jacob Mathews but, shortly after their marriage he perished in 1742. Then once again Mary married a man named Thomas Bosomworth in 1744. Mary lived a peaceful rest of her life until she died in 1765. That is how Mary Musgrove lived her life. 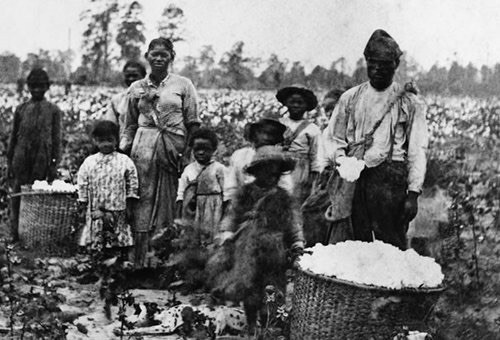 Lastly, Georgia's slaves had the worst lives there because they had to work on plantations constantly. I find this disappointing that at least half of Georgia's family's had one slave, two slaves, or no slaves. Slave owners could make their slaves work for sixteen hours a day for six days a week. Slaves were supposed to get Sundays off, but most slave owners did not follow this rule. Slaves were given little clothing and little food for all their hard work. A slave master could beat a slave if the slave broke one of the slave masters rules. A slave could be set on fire or executed if they attacked a white person. Slaves couldn't just leave their master's because they were forbidden to travel without permission. Slaves were desperate for freedom so they would get onto boats and sail to Africa. White people were afraid that the slaves would revolt. Slaves did not know their exact thoughts so they used actions to show that they hated what was happening to them. That is how your life would be if you were a Georgia slave. In conclusion, Georgia was a southern colony that had plantations and lots of slaves. First, the Native Americans that were in Georgia before the Europeans got there were separated into two groups. The two groups were the Creek and Cherokee Native Americans. Second, Mary Musgrove was a women of many things. She was a wife, a trades woman, a daughter, and a Native American. Lastly, the slaves in Georgia had no time for fun and were always working everyday for a long time. Georgia was one of the thirteen colonies that fought in the Revolutionary War against Great Britain, but that's another story. 1. Friendly: Acting like a friend:kind and helpful. 2. Perish: To die or be killed. 3. Slave: Someone who is legally owned by another person and is forced to work for that person without pay. *The Georgia Colony,Dennis Brindell Fradin,1990.